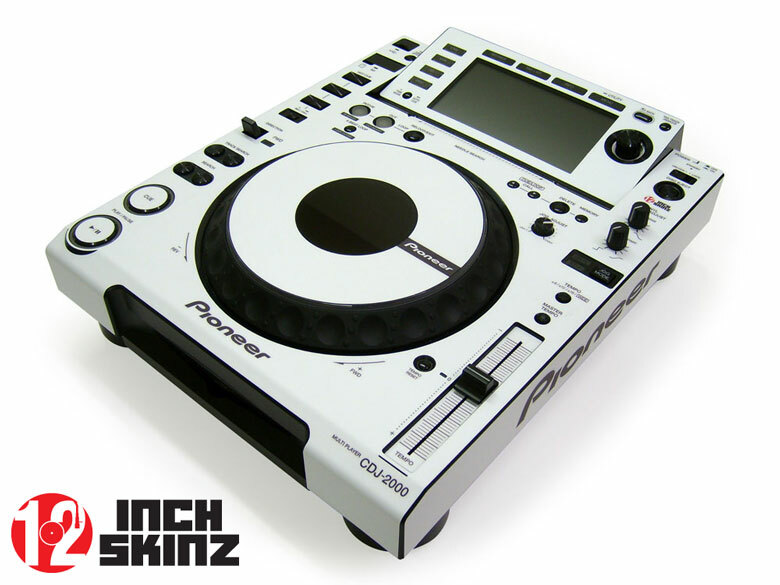 Click the button below to add the Pioneer CDJ-2000 Skinz (PAIR) - COLORS to your wish list. Pioneer CDJ-2000 skinz sold in PAIRS (sets of 2). This is a (9) peice skin. Includes skinz for main body, platter, main display, needle search, play/cue buttons, display rear and right and left sides. ADHESIVE LAYER: Starting with the adhesive side that adheris to the mixer surface, is speciallily designed with an anti-self sticking, "BUBBLE-FREE", pressure permanent adhesive. This technology allows for an easy install with 100% surface contact with no trapped air pockets. This allows you to install with no special tools, just your crafty DJ fingers. 2 layer skin: BUBBLE-FREE pressure permanet adhesive layer & scratch resistant, anti-reflective, micro textured surface laminate.